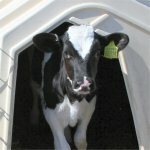 Rearing calves individually, in a full size hutch, from birth to weaning plus a week (to a maximum of 8 weeks old) gives the best growth rates and disease resistance. 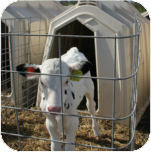 Rearing calves in hutches is working very well. 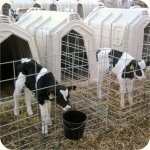 They spend their first eight weeks having individual attention which gives them a really good healthy start. 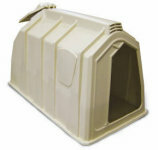 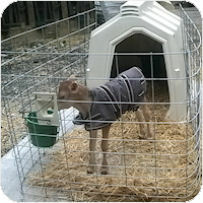 We had 50 individual hutches last year and are very happy with them. 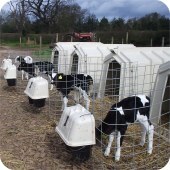 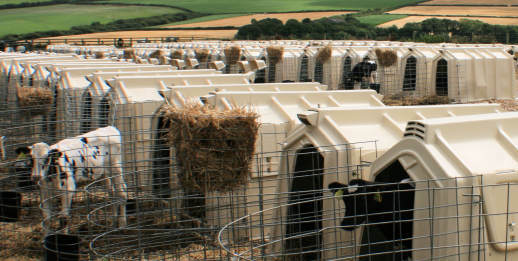 At eight weeks the calves raised in hutches are around 12 kg heavier than those kept in pens.